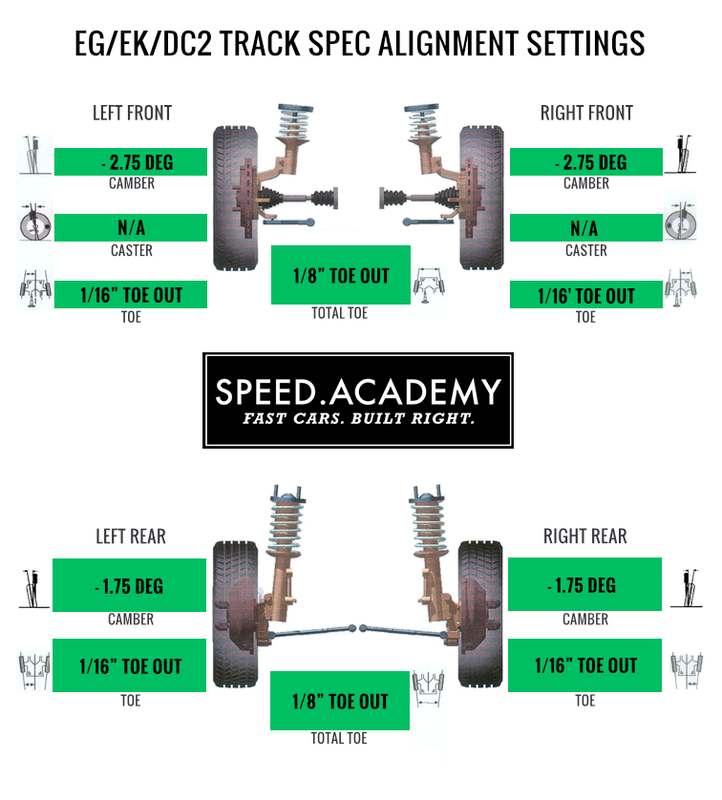 We published a few track alignment spec stories last year including one for our S2000, our FR-S and our S14 240SX. Now it’s time to give you FWD guys some love, and in particular anyone with a double wishbone FWD Honda like my old EG Civic racecar or Pete’s old DC2 Integra track car. Pete’s old DC2 Integra project sitting pretty at the Modified Mag shop in SoCal. A bit nicer than our current tuning dungeon, huh? Why do these specs only apply to ’88 to ’00 double wishbone Hondas? Simple, really. Later FWD Hondas, like the RSX and 7th gen and newer Civics switched to a McPherson front strut design and also went to a different rear suspension designs as well, so a high performance or race alignment on these newer Hondas is very different from the old EG/EK/DC2 chassis we all love so much for their lightness and inherently good suspension design. 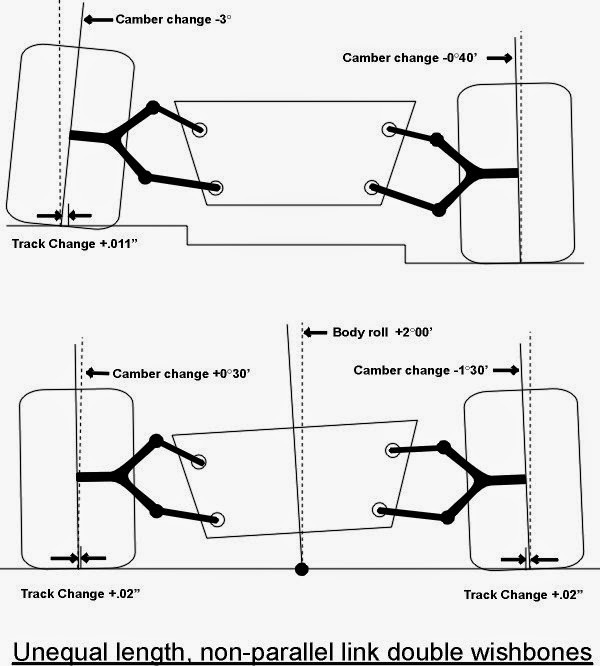 One of the advantages of a double wishbone suspension with unequal length upper and lower control arms like ’88 to ’00 FWD Hondas (and C5 and C6 Corvettes and Stock Cars) have is that it dynamically gains negative camber during roll and compression, which means you don’t have to run a lot of static camber to use all of the available tire contact patch in the corners. So as you can see from the specs above, we suggest you start with about -2.75 degrees of front camber and about a degree less of rear camber. The reason for more front camber is that the front tires do a lot more work on a FWD car, since they’re being asked to both steer and put the power down, and we always want to maximize front grip in the corners and then balance the chassis with adjustments to rear grip. Plus we know from years of racing experience and collecting tire temperature data with my EG and many other Hondas of this suspension type that alignment specs similar to these produce the desired temperature spread across the contact patch in most cases (a bit hotter on the inner third). 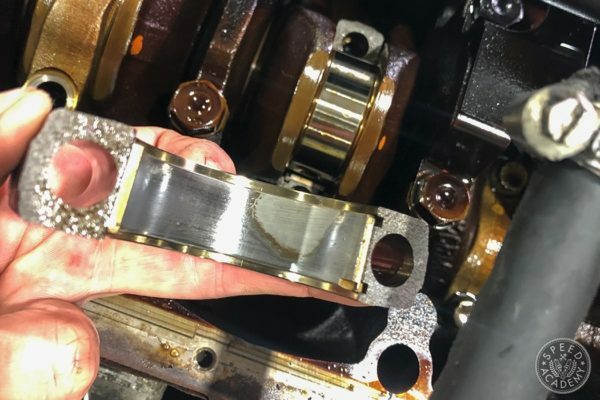 Keep in mind, however, that your tire choice and driving style will impact on camber and toe settings that work best for your FWD Honda, not to mention your shock, spring and sway bar setup and the track(s) you tend to do most of your lapping/racing at. 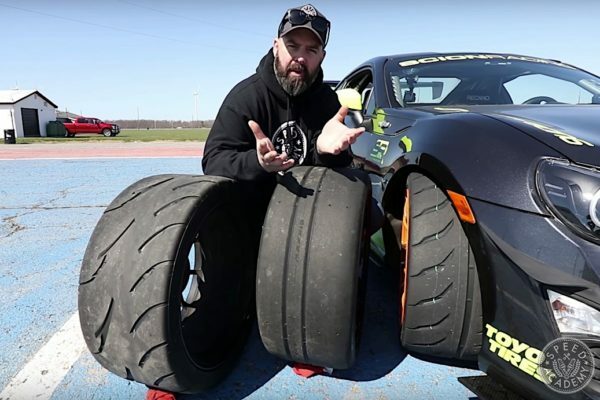 So you’ll need to do your own homework, as these specs are really just a starting point and are perhaps a bit on the conservative side (and thus better suited to a street tire or DOT track tire, while racing slicks often need more camber as well as more spring rate). Get yourself a tire pyrometer and accurate tire pressure gauge and start to keep track of these during track days. Generally speaking you’ll want to see tire temps in the 160-200F range, but do some research on the optimum temp range for the tires you’re running on. Here’s a little video explaining how to use a pyrometer. It’s a quick and painless watch, we promise. We normally use toe settings to fine-tune the car’s handling balance, so these can be quite subjective and heavily influenced by tire choice and your overall chassis and suspension tuning choices. That said, most FWD cars do understeer and struggle a bit with turn-in response as well, so as a general rule adding some front toe-out can help encourage crisper turn-in. Similarly, a bit of rear toe-out can help free up the rear end and encourage the chassis to rotate rather than understeer. In extreme cases we’ve used a lot more rear toe-out to combat understeer, and we’ve also used extreme amounts of rear camber to effectively reduce the size of the rear contact patch in an effort to reduce rear grip and thus free it up to rotate. Running a reverse stagger tire setup (narrow rear tires) is also a popular way to improve FWD handling balance by limiting rear grip relative to front grip. My old EG, transformed into a sweet Time Attack car by our friend Luigi, ran a reverse stagger setup very effectively, not only with a wider front tire but also a more aggressively offset front wheel. Point being, don’t be afraid to experiment with rear toe and rear camber to get your FWD car to understeer less or even rotate a bit. The goal is to get the car turned in quickly so that you can get back on the gas as soon as possible without having to modulate the throttle to hold off any power-on understeer or front end push. Similarly, you can use rear damper settings, rear spring and bar rates or even track width to reduce understeer, but that’s a subject for another post. One other point worth making about unequal length double wishbone suspension design is that it doesn’t like to be lowered too much. Show up to the track with your ’88 to ’00 Honda slammed to the ground like a stance nation devotee and you’ll almost certainly have a very poor handling car on your hands, since its roll centers will be below ground and it’ll be bumpsteering you all over the track in the corners. 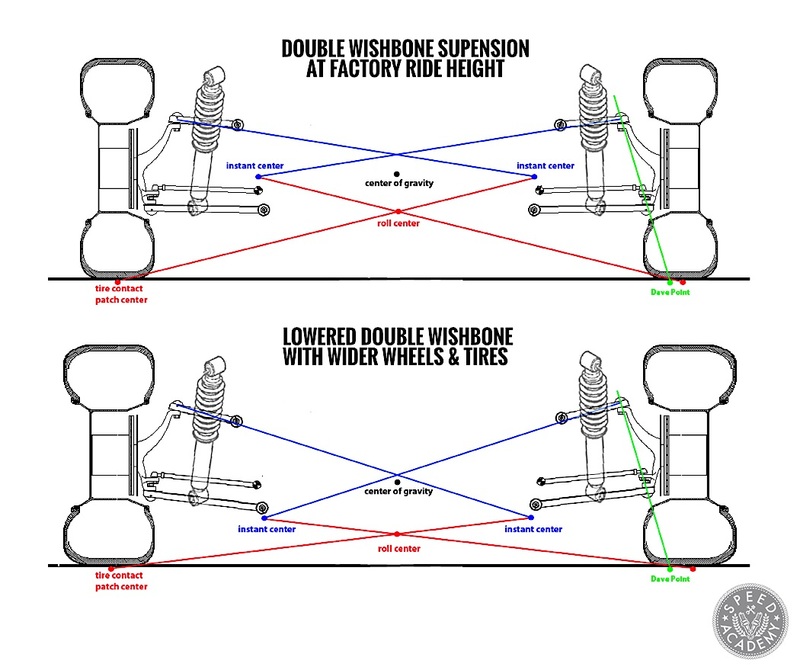 You can use bumpsteer and roll center adjusters to help dial some of this badness out, but because of the way double wishbone suspension geometry works, the best thing you can do is not lower the car more than a couple inches below stock ride height. Ok, that’s it for our quick and dirty FWD Honda double wishbone alignment recommendations. We want to build another FWD Honda soon, so hopefully we’ll be able to show you lots of other FWD Honda setup testing in the not too distant future. Maybe a GE Fit rally car with a Mugen K20 like this one? 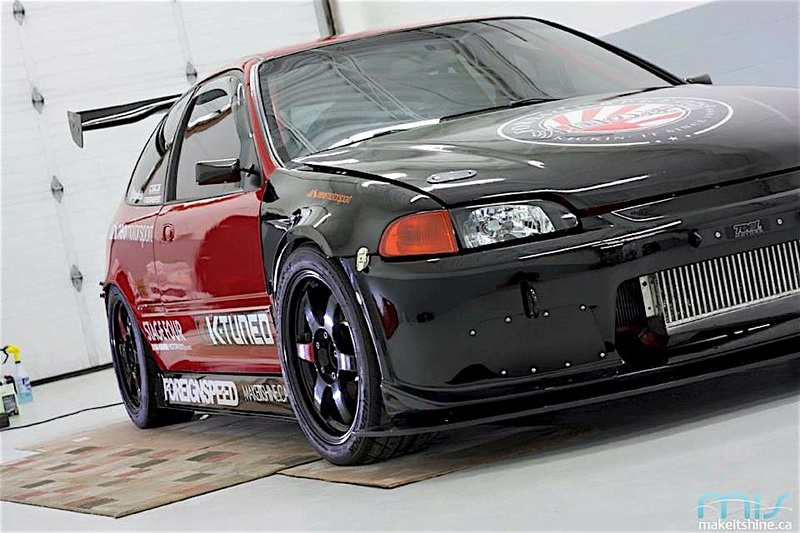 EG/EK Honda Civic & DC2 Integra"
k series rally car please! Can you do the same thing buy for mcpherson car ? Lachez pas la belle job que vous faite! Ya, the Mac strut Hondas are a different animal, for sure. We’ll do a setup story on those when we get a chance. What front bar is that? I like it. Where can I get one. 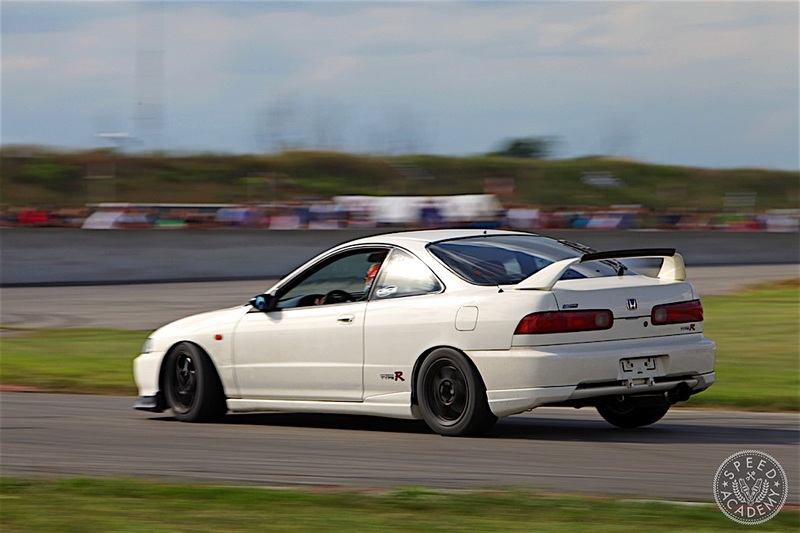 Do you guys have suggestion on what brand coilovers for a track DC2 with this setup? Is the car being trailered, or are you still driving it on the street? 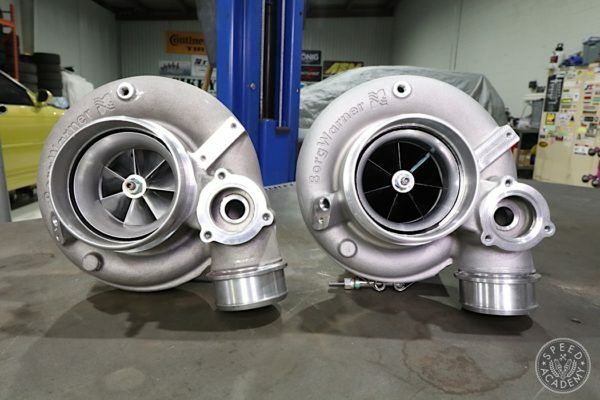 For dual-purpose street/track we like Fortune Auto 510 or Koni Sport + Eibach springs for an affordable single-adjustable damper setup, or K-tuned K2-Circuit or KW V3 for a double-adjustable (independent adjustment of compression and rebound) but still affordable setup. Hi Dave, I have been following the K20 track build that you guys did. So, it seems like K-tuned street coilovers would be a still good compromise for the budget. At least for now I still drive it daily. but My concern is Integra is little heavier than the Civic. what do you think? I think you’ll be fine with the K1 coilovers on your Integra. Lots of Integra guys out there running them with good results. Let us know how they work for you! So since these double wishbone suspension doesn’t like to be drop to low, how low can I drop it for track used?…and daily driving as will and will give up some comfort. Any information will be appreciated. Thanks. Can I get your suspension parts list for a track eg. Instead of replacing my original bushings on my 92 eg, I’m planning to remove and replace suspension parts. Please let me know if you need more info on my end. 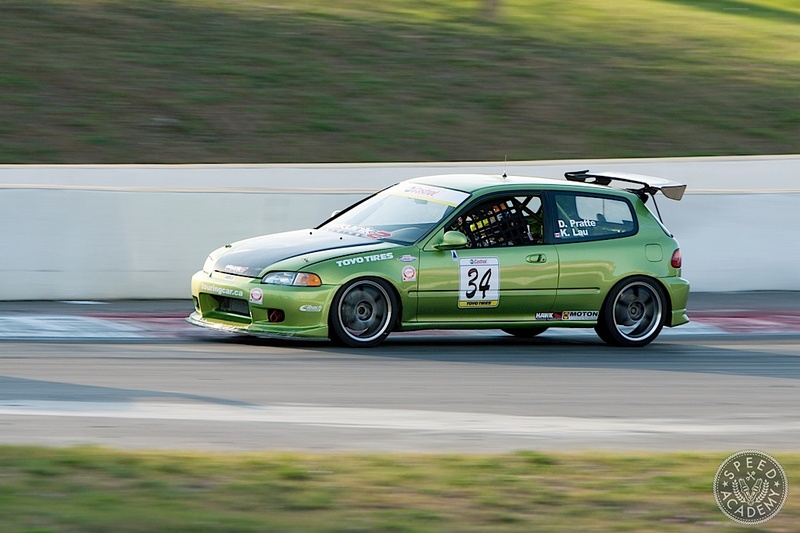 DP, What spring rates would you run with Koni Yellow’sin an EG chassis? Depends on what your goals are for the car and what swaybar setup you want to run. 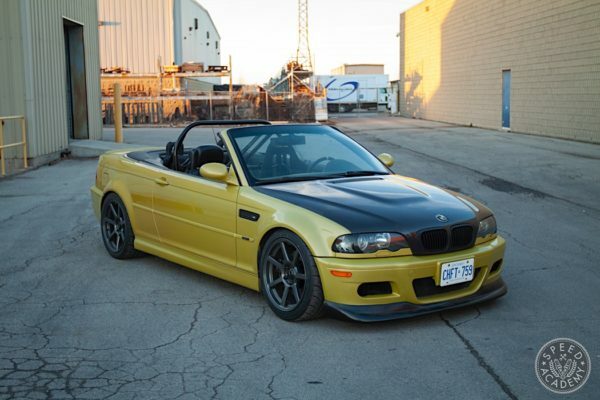 Do you daily drive it, or this purely a track car? Koni Yellows don’t like spring rates over 450-lb/in or about 8 kg/mm, so keep that in mind. 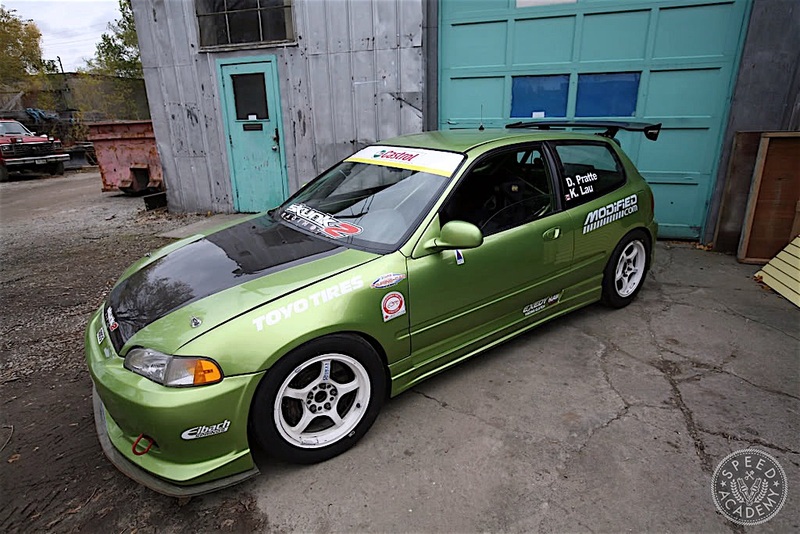 On a a dual purpose street/track EG I’d look at running 8k springs front, 6k springs rear, and an ITR rear sway bar to help with rotation. If you’re a more advanced track driver who likes a car that rotates really willingly, flip those spring rates from front to rear. So, let’s say the car is mostly a daily driver, but also is used for spirited driving. How would you alter the alignment from the baseline specs noted in the story? If you want a good in the middle alignment for street/spirited driving take the track settings and reduce the numbers by 30-50% and it should give you a good starting point.